This post was exciting to find! 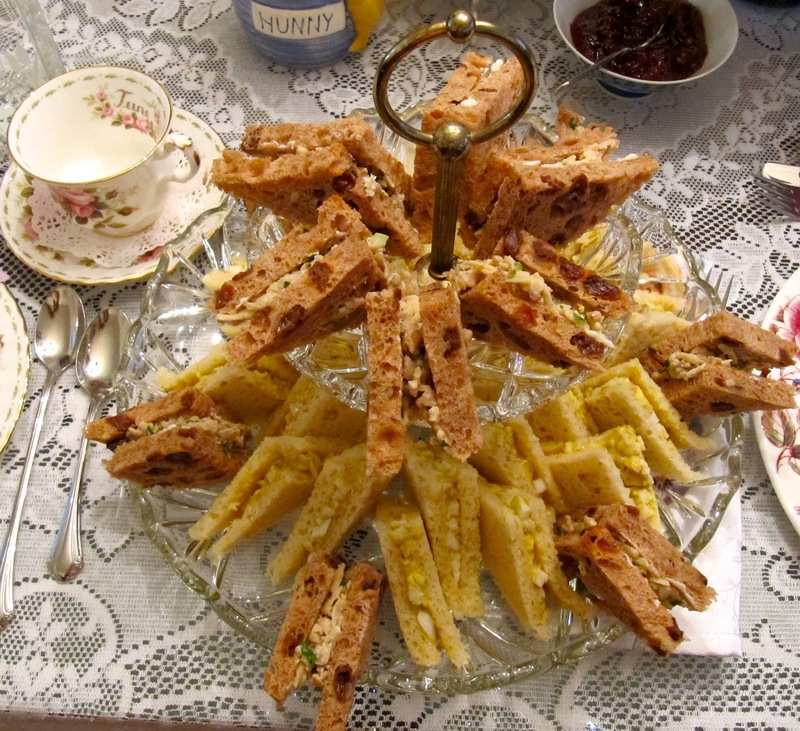 I am planning a tea party in June as a wedding shower for my niece who is GF. I will need to bake ahead. Can you suggest any of your GF recipes that might freeze well? Biscotti? Other cookies? A cake? Other thoughts? Thanks in advance for any suggestions! A gf wedding shower sounds wonderful! There are many things that will freeze well. Cakes and Cupcakes: chocolate, banana, strawberry, pumpkin spice, cardamom & carrot will freeze well frosted or unfrosted as cakes or cupcakes. Also the Jelly Roll and Mint Chocolate Roll cakes will freeze well whole or in slices. Cupcakes will need to be thawed at room temperature for 30 -60 minutes. The whole cakes will need 2-3 hours depending upon the size of the cake and the temperature of the room. Once thawed do not allow the ones with fresh whipped cream to stay out unrefrigerated, keep them in the fridge until 20-30 minutes before serving just to get the chill out. The cake flavor is better when not ice cold. The quiches (zucchini & broccoli cheddar) will freeze well. Thaw them overnight in the fridge and warm them up before serving. Most other recipes will not hold their texture well in the freezer. The Challah bread can be baked 3 days ahead and stored at room temperature. Biscuits, baked, will store well in the freezer and will be as good as if freshly made if heated and served warm. Scones should be made fresh the day of the shower. I hope this was helpful. Please, do not hesitate to ask if you have more questions. Thanks so much!! Will I find all these recipes on your blog? And which do youthikn non-GF guests will be sure to enjoy? (My mom - grandma of the bride - is concerned about that!) I am grateful for your blog and your help here! Yes, all the recipes I mentioned are on my blog and all have been tested by non-gf people. My human guinea pigs all comment that they can not tell that the recipes are gluten free. The Chocolate Cake, Scottish Shortbread, Russian Tea Cakes, the biscotti (using chopped nuts in the biscotti will make them easier to cut) and the quiches are the most popular recipes that can be made ahead. Hope your party goes well. Hi! I have been visiting this page for over a year now. I figured it was about time to say thank you! I love English Teas but just cant go to them. With your recipes here I have been bringing along my own "tea food" and people always love mine! :) Thank you! I am delighted to hear that you have been enjoying my recipes for over a year! Thank you for taking the time to comment. It is so good to hear that my recipes are appreciated.